WINTON, HENRY DAVID, printer and newspaperman; b. 10 June 1793 in the parish of Withecombe Raleigh, Exmouth, England, fifth son of the Reverend Robert Winton and Teresa Maria —; m. 3 Sept. 1816 Elizabeth Luttrell Nicholson, and they had four sons and two daughters; d. 6 Jan. 1855 in St John’s. Henry David Winton was apprenticed to a printer and bookbinder in Dartmouth, England, and at the end of his term proceeded to London where he worked in the same trades. On 28 Aug. 1818 he arrived in Newfoundland and the next month, designating himself as a “Stationer, Bookseller, & Book-binder,” he announced that he had opened a wholesale and retail “Stationery Warehouse” in St John’s. Throughout his career in Newfoundland he maintained a business as stationer, printer, bookseller, and publisher. 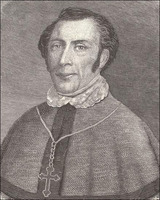 For several years prior to the granting of representative government in 1832 Winton was on friendly terms with Catholic bishop Michael Anthony Fleming*. In the campaign leading to the first general election under the new form of government, that friendship changed into an enmity so profound that it coloured Newfoundland politics for generations. On 7 Sept. 1832 the Ledger cautioned voters not to select as members of the new assembly “inflated schoolboys, or superannuated old men” – a clear allusion to John Kent*, a young Irish merchant patronized by Fleming, and (though Winton later seemed to deny this) to Carson. In a furious response printed in the St John’s Newfoundlander, Kent stated that he detected “an odour of prejudice” in Winton, adding that there was “a party here” which “if I were an imbecile, would elect me.” In this letter and in a circular issued a few days later he made it clear that he thought Winton’s objections to him were based on “an uncompromising hatred to Irishmen and Catholics.” On 18 September Winton responded in an editorial which changed the course of his life. After denying the charge of prejudice, he asked what party had sufficient influence “to command the return of an idiot to our local Parliament.” Such an assertion, he said, was an insult not only to Protestants “but to every respectable Catholic in this district.” To what influence was Kent referring? “Sure we are that the Right Rev. the Bishop as the head of the Church of which Mr. K. is a member will not tolerate such conduct, nor permit it to be tolerated by any of his respectable clergy.” He then denied that Kent had any such influence at his command, and concluded that he was “a political impostor.” This was not an editorial at which Fleming could readily take offence; yet he did. On 19 September he wrote a letter to the Newfoundlander to comment on “the unwarrantable and unjustifiable manner in which [Winton] brought my name before the public,” and declared that he had the right “as a citizen” to recommend candidates to the electorate. He thereupon endorsed Kent, Carson, and William Thomas, a merchant of the city. The gauntlet was now thrown down, and Winton was just the man to pick it up. In his bold reply of 21 September he accused Fleming of “as gross and wilful a misrepresentation of our sentiments as the mind of a Jesuit could possibly conceive” and informed him that he had “justly forfeited” the respect not only of Protestants but of “the respectable portion of your own Catholic flock.” In the heated atmosphere of the campaign, these and subsequent remarks by Winton stirred up deep animosities among long-frustrated Catholics. Meetings were called in St John’s and Conception Bay to support Fleming and denounce Winton. Placards, Winton later recalled, “covered the walls of the town dooming me to destruction.” For his part, Kent in his speeches asked supporters to “put down the Public Ledger – put down the Orange Press.” The seed of sectarian rivalry had been planted in what had hitherto been a comparatively peaceful colony. The following 50 years would show into what fertile ground it had fallen. Even before the election had taken place, Winton became convinced that the extensive franchise granted in 1832 was “an egregious error” which would endanger the peace and prosperity of the colony. After several reformers, including Kent, were elected, this view settled into a deep conviction. His opinion was that only truly independent men should have the vote; those who could not think for themselves, such as the mass of the Catholics in St John’s, who appeared to him to be mentally enslaved by their clergy, should be excluded [see Edward Troy*]. These voters were merely tools in a clerical conspiracy to gain control of the House of Assembly. Winton’s high sense of responsibility as a journalist and his own bulldog courage would not allow him to desist from iteration of these themes as long as the Catholic clergy insisted on playing a role in politics. His opposition to “Priestcraft” was one factor which alienated him from reformers such as Kent and Carson, whom the priests invariably supported. But these men came to offend him anyway by their radicalism. As Winton grew older his conservative nature became more and more evident in his paper, and his hostility to those who claimed to represent popular interests grew stronger. After the election of 1832 the reformers soon had in Winton an implacable enemy whose supremacy as a journalist in the narrow intellectual world of St John’s gave him an influence that could not be ignored. In 1833 Carson, James Douglas, and possibly others found it necessary to establish the Newfoundland Patriot as the new journal of reform in St John’s. An early employee on this paper was Robert John Parsons*, the foreman in Winton’s printing establishment for six years, whose connection with the Ledger had ended in 1833 in a savage fist fight with his employer. By 1840 Parsons had become the Patriot’s sole owner and editor, and bitter personal invective against Winton was a regular feature of his columns. The effects of this bizarre and cruel incident upon Winton are difficult to assess. However, because it was the merchants who offered him sympathy and support, undoubtedly he was drawn into a closer union with them. The Ledger now became the acknowledged proponent of “conservative principles” and the organ of the Protestant mercantile élite which controlled the Council and exerted the greatest influence over the governor. The newspaper was supported by advertisements both from prominent merchants and from the government. Yet Winton’s success in the competitive field of local journalism was not altogether due to patronage, nor was he drawn to defend the establishment merely for profit. He wrote from conviction. He was also a gifted and inventive journalist. His network of contacts included a Catholic who kept him informed of the content of sermons in the local chapel and, after 1841, a London correspondent. The Ledger appeared twice a week – a novelty in St John’s – and its circulation was described by Governor Sir John Harvey in 1842 as surpassing all but one of the six other papers in the city. It would be exaggerating to call Winton an impartial journalist but neither was he a bigot. Although he objected to clerical interference in politics, he rarely stated wider theological and historical objections to Catholicism. True, he had the normal Protestant suspicions of the Roman church, but in many respects, even occasionally in his attitude to Catholics, Winton was a broadminded and compassionate man. Yet it is also apparent that he failed to make an effort to understand the underlying causes of unrest among the Irish Catholic population in the colony. A revealing test of Winton’s integrity as a journalist came after the arrival of Governor Harvey in 1841. 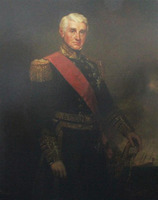 It was Harvey who presided over the introduction of the constitution of 1842, under which the franchise was restricted somewhat and the upper and lower houses amalgamated into one chamber. By all appearances he was a vain, pompous man, anxious for popularity – not the sort of person who could keep the reformers in check. 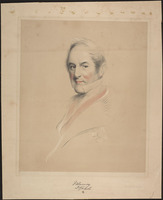 Winton had been alarmed even before Harvey’s arrival by such concessions on the part of Governor Prescott as the removal of Chief Justice Henry John Boulton* in 1838 and his replacement by a “new whig Radical” John Gervase Hutchinson Bourne*. 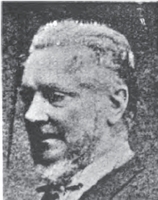 He had also called Prescott a “radical” for elevating Patrick Morris to the Council. But Harvey’s hobnobbing with the radical and Catholic element was too much to bear. He was “selling himself to the rabble,” Winton declared in March 1842. Fears about the growing influence of the reformers under Harvey may have been a factor in leading Winton to run for election himself in December. He coveted the Burin seat to no avail, being defeated by a Catholic reformer, Clement Pitt Benning*. By 1844 Winton was calling for the abolition of the new system, and his criticism of Harvey was so outspoken that government advertising was withdrawn from his paper. Winton responded to this exhibition of official displeasure by defiantly asserting his right to comment freely on public affairs, but in fact he felt uncomfortable in the situation, and his criticism of the government became muted. In 1845 he admitted that he was “passively looking on” as events transpired. No “free commentary” on the government, he wrote, could be made “with advantage, or even with safety, to the journalist who would attempt it.” It was the first and only time in Winton’s career that he had been put down, although he still occasionally pointed to the “twaddle” in Harvey’s comments on agriculture and ridiculed his “comical government.” After the fire of June 1846, which devastated St John’s, he was returned to official favour. He even accepted a position from Harvey as secretary to a committee administering relief to the sufferers. The anti-Catholic note in the Ledger softened considerably during the period of the Amalgamated Legislature. When his old enemy Parsons was successful in an 1843 by-election, Winton had to concede that the clergy had played no part. Nor were they active, he admitted, during the general election of 1848, when he again ran unsuccessfully in Burin. By the late 1840s we find an unexpected warmth in his comments on Kent and Morris, and when Fleming died in 1850 Winton printed a long obituary, which described the bishop as a “truly great man.” (It should be noted, however, that he did not write the obituary.) This gentleness was not destined to last. As the by-election of November 1850 approached in St John’s, Winton heard the rumour that the priests were again active in support of Philip Francis Little*, an advocate of responsible government. By this date Winton’s antagonism towards the idea of responsible government was deeply entrenched. In fact he was fast coming to the view that the colony was unfit for even the old system of 1832, which had essentially been restored in 1848 after the experiment with amalgamation ended. When Little was returned, the Ledger thundered forth as of old that the “Priest’s party” had called out “the sweepings of the gutters and sewers” to ensure his election. He was enraged even further in 1851 when it was revealed that Little was in league with Catholic bishop John Thomas Mullock*, who openly supported responsible government. The people of Newfoundland, Mullock wrote in a letter published in that year, “look with longing eyes to the day when they can manage their own affairs.” Here, then, was another partisan bishop. Winton once again seized the gauntlet, and the last four years of his life were spent in a desperate, losing battle against responsible government, which to him meant control of the colony by the rabble. Before he died he came to regret deeply that he had helped bring representative institutions to the colony in 1832. He now called for a much simpler system, one consisting of “a Governor and Council, the Council partly elective, and partly nominated by the Crown.” It was a view apparently shared by Governor John Gaspard Le Marchant*. But both men seemed like voices from the past, and the year Winton died saw the colony adopt a new constitution, with Little, a Catholic, as Newfoundland’s first prime minister under responsible government. On Winton’s death, his son Henry became editor, printer, and publisher of the Public Ledger although his mother, as administrator of the estate, was the proprietor until 1860 when he took sole control. Two of his brothers, Robert and Francis, were also newspaper publishers in St John’s during the 1860s, producing the St. John’s Daily News and the Day Book respectively. His third brother, Ebenezer, had tried to establish a tri-weekly paper, the Morning Advertiser, in the city in 1844. Henry David Winton was a journalist of uncommon ability. His paper represented Protestant and mercantile interests – the dominant elements in Newfoundland at a time of bitter sectarian divisions. As partisan he was feared and hated, but even his opponents conceded his sincerity and his courage, and he was capable of generosity of spirit to enemies. As an intellectual and a critic of Newfoundland society, he was perhaps equalled in his time only by Carson and Nugent. [The most revealing sources of information about Winton’s Newfoundland career are the St John’s newspapers, especially his own paper, the Public Ledger and Newfoundland General Advertiser, for the years 1827 to 1855, and Parsons’s, the Newfoundland Patriot (later the Patriot & Terra Nova Herald), for 1834 to 1855. Issues of the Public Ledger for 1846 and 1848, unavailable elsewhere, can be found in the PRO (CO 199/7–8), as can the Patriot for 1838–39 (CO 199/1) and excerpts from certain numbers of the Public Ledger prior to 1827 (CO 194). The most trustworthy biography of Winton is his obituary, Public Ledger, 16 Jan. 1855. Devon Record Office (Exeter, Eng. ), 2992 A/PR10 (St Saviour parish, Dartmouth, reg. of marriages, 1813–37), 3 Sept. 1816. NLS, Dept. of mss, ms 2350. PANL, GN 2/2; GN 5/2/A/1-1832–35: 88–90. PRO, CO 194/61–146; RG 4/959; 4/1209: ff.9, 24v. Supreme Court of Nfld. (St John’s), Registry, 3: f.235 (administration of H. D. Winton, 27 Jan. 1855). Nfld., House of Assembly, Journal, 1833–55. Newfoundlander, 1827–34, 1837–43. Newfoundland Mercantile Journal, 1816–27. Newfoundland Vindicator (St John’s), 1841–42. Royal Gazette and Newfoundland Advertiser, 1810–18, 1828–31. Gunn, Political hist. of Nfld. Patrick O’Flaherty, “WINTON, HENRY DAVID,” in Dictionary of Canadian Biography, vol. 8, University of Toronto/Université Laval, 2003–, accessed April 24, 2019, http://www.biographi.ca/en/bio/winton_henry_david_8E.html.